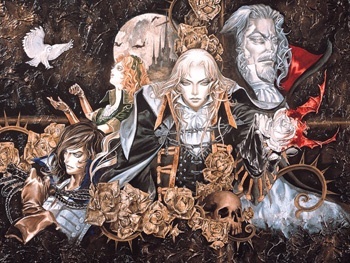 There's a lot to know about Konami's long-running series about vampires and their hunters. Honestly, this quiz doesn't even come close to scratching the surface - we'd probably need 50 questions for an in-depth Castlevania quiz. But consider this quizlet a tasty appetizer before diving into our review of Castlevania - Harmony of Despair. While we're on the subject, why is it that Castlevania games seem to have such emo subtitles? Must be a vampire thing. As always, you can take as long as you like to complete the quiz, and even retake it if you don't manage 100% on your first try, but keep in mind that your cumulative time will affect your position on the leaderboards. Got your garlic? Holy water? Whip? Then let's go!